November 2nd, Austin, TX. Had a dream last night. Don’t remember too much about it but I was riding and I got a flat. I can change a tire one handed but in the dream I used both hands. All my fingers worked. I didn’t even need a tire lever, just used my hands to get the tire off. I recall feeling pleased with myself at how easy it was. But then I woke up and the glow of the small victory of my dreams dissipated in the reality of the effort required to simply roll over in bed. Hope can be a very tenuous thing. On the day of the accident, as I was lifted into the ambulance I was still a little disoriented. But as the doors closed I lay back on the stretcher and believed that I would never ride a bike again. All I could think of was that I had let everyone down. That was 11 days ago. I rode a bike today for the first time since the accident on October 22nd. We don’t own it yet but we’re hatching plans. It’s not quite what I imagined I would ride but I think if nothing else I’ve resolved the potential issue of flying over the handlebars. I have never been to St Augustine, Florida, and have no idea what it looks like. Yet, the images I have had in my head of arriving there have taken on so many different iterations over the last 10 months. Walking, riding, wheelchair, not at all. At this point I know better than to think that I might actually make it. But I’m going to give it everything I have left. There is an army of people out there riding for me. Even Rae finally got in on the act today. The whole community, cycling and non cycling alike has come together for this cause. If they can do it, I can. 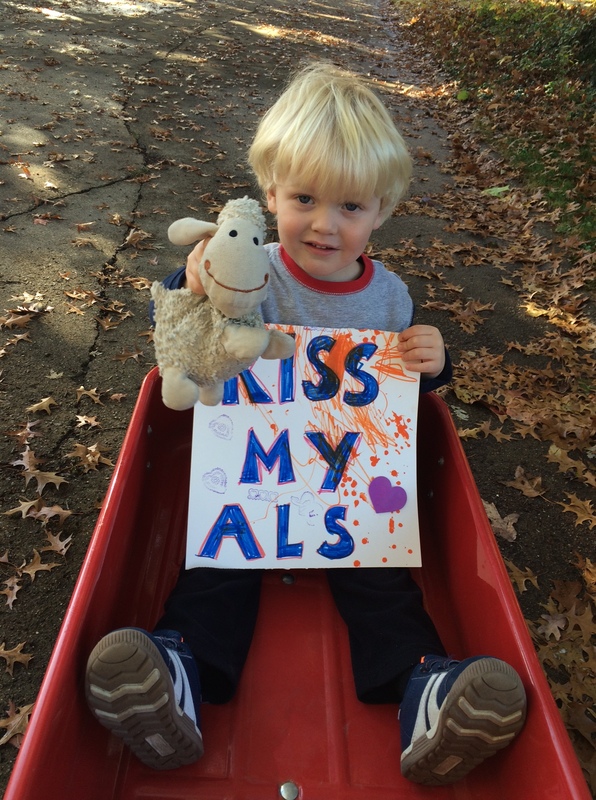 It’s time to kick some ALS. Don’t forget to keep logging your miles at Ride for Ray. If you are already on Strava, just join the group and your miles will be automatically added. We look forward to including you in our next video. Send pictures or video to bychopath13@gmail.com with a message about yourself and who you are and where you are from. 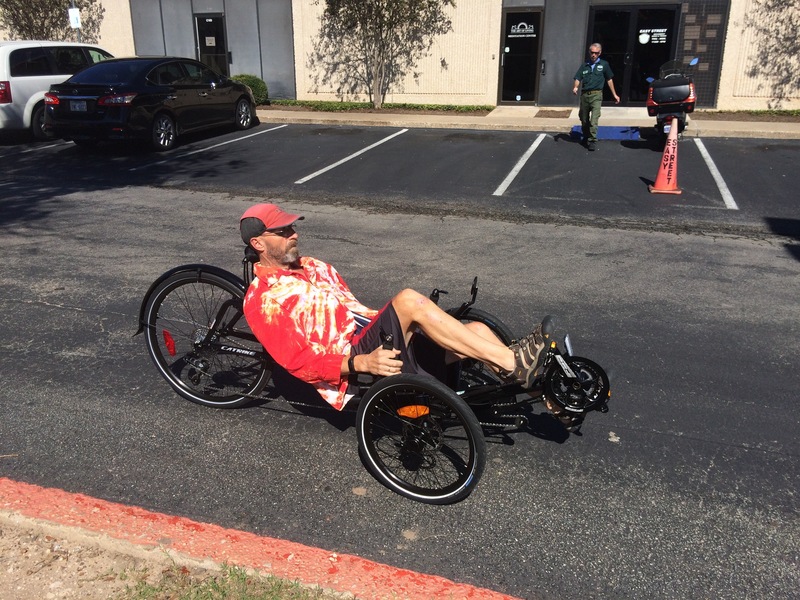 Love the recumbent bike…..Go Ray Go! Just made my first elliptical mile for Ray. How do I add a pic? Actually, have now made another mile for Ray but still have not figured out how to add it to the right page. The comment above was also not added to the mileage page. Any advice? WOOOOO HOOOOOOO!!!! When things get tough…get creative! I’m so happy to see you on a recumbent! I’m riding mine for you as often as my legs will let me. And it might make you smile to know that with recumbents come unexpected coolness points! Bonus! Hang in there Ray. I understand the difficulties you face firsthand. You can do this. You give me courage every day. When are you due in St. Augustine? I live a few hours away and would like to be there to cheer your arrival! Hey Ray, I’ve been thinking about you frequently, and following your blogs for a couple weeks now 🙂 I just wanted to say that your an inspiration for how to live a beautiful life, its an uncommon and precious gift you’re sharing with us. I love you bud, good luck! This is my favorite so far. The ending made it. Hell of a soundtrack you’re putting together..